It wasn’t a pill or drug like in the movies - he was a philosopher not a pharmacist. It was an actual course of work that would help make a person more intelligent. 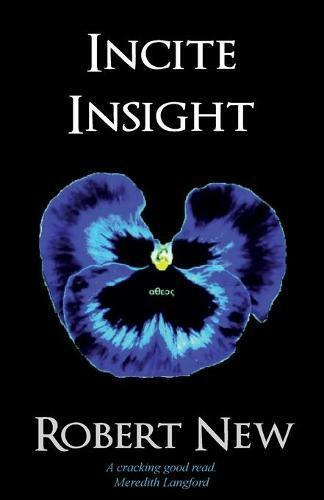 Incite Insight is a speculative crime thriller. Newly promoted ‘Country Boy’ Detective Brad Thomas is put on the case after a number of mysterious deaths - the victims' brains appear to have melted. Brad and Detective Sally Summers discover that the victims are linked by a strange tattoo that reveals membership of a secret organisation. Brad uncovers an intelligence raising program created by the first person to die from what the media dub the ‘Melting Brain’. Believing that this program is the key to solving the deaths, Brad works his way through its levels and finds his own thinking being transformed. Soon, he is invited to join the secret organisation that has been spreading the program - The Network of Freethinkers. He finds himself becoming involved in their plan to alter the way the world is run and create what they call the age of the Philosopher King. Will he help change the world?